A care robot linked to smart homes could be used to help patient’s with dementia live independently in their own homes. The Robot Activity Support System (RAS) uses sensors embedded in a smart home to keep track of where patients are in the house, what they are doing and when they might need assistance. It’s the latest step in Washington State University’s smart homes project, which is already partnered with universities in the UK, including Nottingham Trent University and the University of Bedfordshire. The robot navigates the room to find patient on its own, provides video instructions on simple tasks and can even lead patients to their medication or food if they forget to do so themselves. Bryan Minor, a postdoctoral researcher at the university’s school of electrical engineering and computer science, said: “RAS combines the convenience of a mobile robot with the activity detection technology of a WSU smart home to provide assistance in the moment, as the need for help is detected. “Upwards of 90 percent of older adults prefer to age in place as opposed to moving into a nursing home. To test the robot, researchers recruited 26 students to complete three activities in a smart home, including getting ready to walk the dog; taking medication with food; and watering plants. When sensors in the smart home detected a person was struggling to complete the task a message was sent to RAS. The robot then used it’s navigation camera, sensors and software to find the person and offer assistance. Patients can then use the robots tablet device to ask for videos showing how to complete the task or they could ask the robot to lead them to what they needed to complete the task. The robot is yet to be rolled out to the public but is “certainly doable” in the future, Cook said. In a separate story, Digital Health News reported in September 2018, how Surrey and Borders Partnership NHS Foundation Trust has received an extra £1 million in funding for a “pioneering” study that enables clinicians to remotely monitor the health of people with dementia. Moreover, the finest vessels of the eye entrusted to operate the robot. Machines are already given the task of destroying cancerous tumors and making seamless operations. The best of robotic surgeons are chosen in the UK. Robots have learned to do jewelry operations on the retina and delicately remove blood clots from the vessels that feed it with blood, doctors say. “Of the three patients who underwent surgery this year, two have improved their eyesight. We need to test this technology for another 50 people,” said Leuven University’s leading specialist Andy Giybels. This development reduces the impact of the human factor: robots do not shake hands, they do not make sudden movements, do not experience any stress or fatigue. Fantastic news. I love robotics, I am waiting for the day when robots will become viable carers for dementia sufferers. I am sure the technology is in its infancy. But hopefully this will continue to progress. 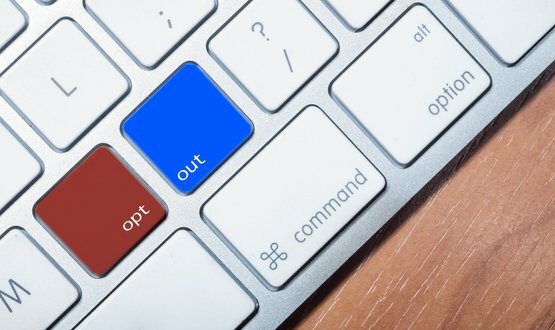 Health minister Steve Brine confirmed patients’ requests for information not to be shared, through the national data opt-out, would not apply to surveys.